Technology is a defining aspect of the modern world, and is also constantly evolving. To all of the individuals living in this ever-changing environment, human resource factors play a very important role in their quality of life at home, as well as within the organizations they work for. Human Resource departments everywhere, in a wide array of industries, are facing multiple challenges related to being efficient in managing people in this new era of human advancement. In the current conditions of continuous change, fast action and well-informed decisions are required to automate Human Resource processes and implement effective management systems. These systems are vital not only to Human Resource departments themselves, they also impact how competitive the corporate business is in the market in general. LanteriaHR is a software program that allows you the administrative support to streamline your systems and act quickly, with confidence. Large corporations often automate their Human Resource process using Enterprise Resource Planning software (for example SuccessFactors from SAP), or buy implementing standard Human Resource solutions on the market like Workday, PeopleHR, Namely, Saba, or Cornerstone. While these are all good options, they often can’t keep up in today’s fast-changing market and don’t provide enough flexibility to follow corporate process changes as the company and the technology evolves. In addition to staying up-to-date with current technology, it is also very important to customize Human Resource automation to your specific corporate environment as much as possible. This allows the automated program to reflect current Human Resource processes and reporting procedures, continuously processing changes, therefore evolving as the business does. Only customizable solutions, like Lanteria HR, can provide this type of stability in this inherently unstable environment. This opens up space for smaller Human Resource applications and Human Resource IT providers, that are more client-oriented and ready to customize solutions in accordance with customer needs. How can main Human Resource areas be automated? What will make the business not only reactive, but also proactive in managing the key to making a business successful – the employees? The Human Resource department is tasked with managing the organizational structure and Employee data on an ongoing basis. Employment history, as well as Salary and Career history, are very important for understanding people’s strengths, motivation and how best to support them. Managing related documentation and following proper procedures from Hire to Retire, is where most Human Resource departments currently spend most of their time – all of that can be automated! Eliminating paper work and digitalizing documents saves time, make the processes more efficient, and enables transparency and informed management decisions. The profit value of automating day-to-day Human Resource Operations can’t be underestimated, for it brings necessary speed and flexibility to organizational leadership. Managing employee performance is one of the most important areas of Human Resources and a highly strategic area. It links employee capabilities, motivation, professional skills and behavioral factors to overall company performance and success. It is very important to build an efficient Performance and Succession management system, thereby setting the company up to employ individuals who possess the appropriate skills required at all organizational levels, and to fuel high levels of motivation to ensure business productivity. Managing Performance reviews is a very time-consuming process that requires significant administrational efforts, and it needs to be smart and measurable. Automation through software alleviates operation and approval efforts, and provides a mechanism to properly estimate different aspects of employee performance. 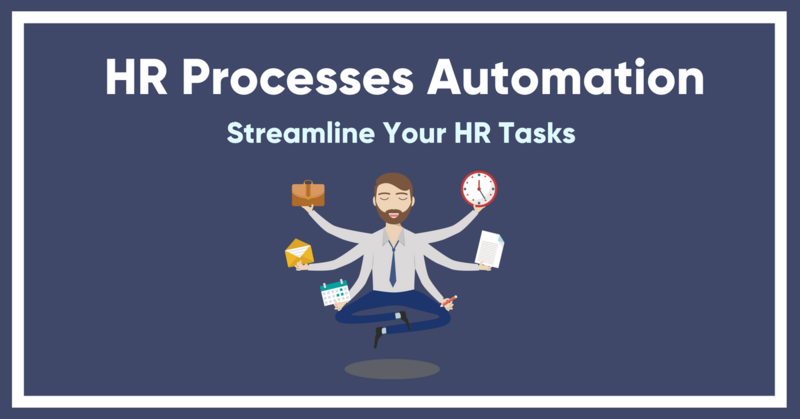 Goals and Achievements, Job Responsibilities, behavioral factors and career aspirations are all aspects that can be streamlined through automating your processes. LanteriaHR supports an advanced Competence Management Model that allows your organization to develop key professional and personal capabilities in your employees, that also reflect the skills and leadership the company needs to be competitive. In short, automating your Performance Management and Succession planning saves time, makes performance measurable, manageable and meaningful and keeps both employee performance and motivation at high levels. Managing employee Time & Attendance one of the most complicated tasks of the Human Resource department. It requires calculations, extensive knowledge of local Human Resource legislation, documentation and approval management. Human mistakes in managing Time & Attendance can have a very significant impact on employee motivation and could complicate a case of labor legislature violation. Not to mention the financial impact for organizations where people claim their working time for customer projects. Automation of this process eliminates the possibility of human mistakes, makes the process transparent and manageable, saves time and cost, and allows the Human Resource department to implement necessary organizational changes that might have impact on business profitability. Recruitment feeds the business by attracting new talent, and is vital for the business to survive. It also requires a lot of effort on behalf of your Human Resource managers. Efficient automation of job openings and potential candidates, as well as automated scheduling of interviews and follow-up actions, saves personnel time for qualitative candidate research instead of basic operation and administrative staff management. A flexible Applicant Self-Service form is a must-have on the current market, as it enables additional channels for managers to search and engage the most proactive candidates. Efficient automation of Learning Management Systems allows Human Resource managers to improve Employee skills and capabilities, and saves time and cost by reducing administrative efforts related to the training scheduling and other Learning operation management. Employee self-services save the Human Resource administrator time in Operations, Time & Attendance, as well as simplifies approval processes, and increases employee motivation by making the Human Resource Process transparent to employees and Managers in intimidating areas like Performance Management, Learning and Development and some others mentioned in this overview. To manage all HR aspects efficiently, the company needs efficient and flexible analytics and reporting systems, that define key challenges that require immediate action, makes processes measurable and manageable, and enables informed business decisions. LanteriaHR presents efficient HRIS solution for most businesses that covers the most challenging Human Resource areas, as highlighted by modern industry, technology and corporate world changes. Our solution covers all the challenges and areas mentioned above, and can be customized in accordance with our customer requests. LanteriaHR is a customer-oriented company that operates in the US and European market, with a wide portfolio of highly successful projects and organizational participation. We strive for your success by simplifying the Human Resource process and are always ready to be flexible in accordance with industry change in the modern environment.